DescriptionA pack of 10 cards with co-ordinating envelopes in this contemporary hen night design. Approx 120mm X 120mm. The inside of the is pre printed for the happy hen to complete and invite her guests. 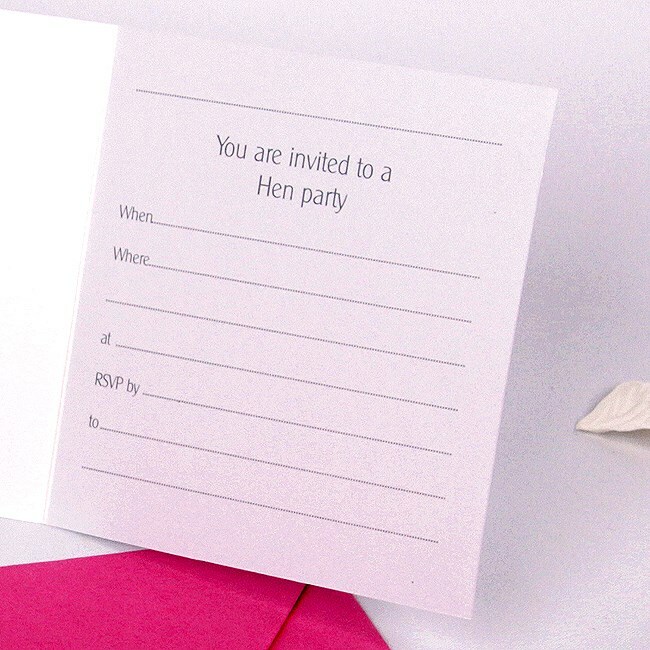 A pack of 10 cards with co-ordinating envelopes in this contemporary hen night design. The inside of the is pre printed for the happy hen to complete and invite her guests.